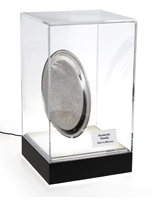 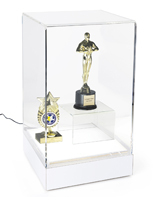 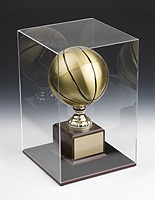 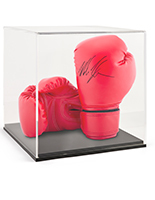 Create a deluxe counter presentation using this tabletop acrylic display box with label. 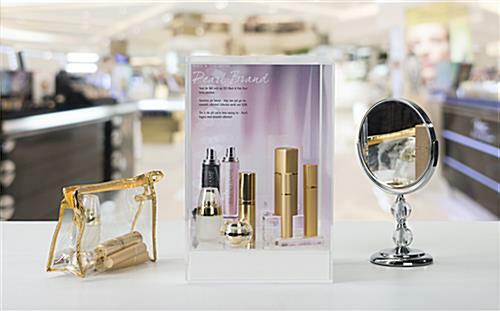 An internal pedestal platform elevates retail store products for a distinguished look. 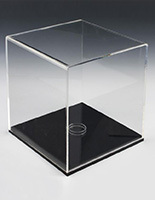 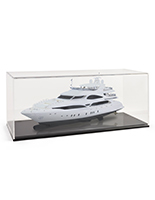 Each square clear acrylic display box with label lifts off the base for full access to the interior. 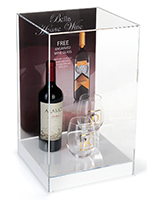 An 8.5” x 11” sign holder offers a backdrop for your deluxe retail store arrangement. 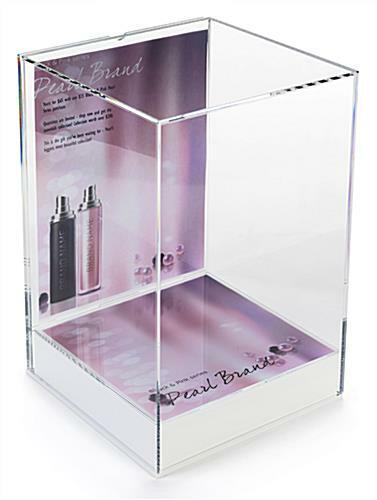 Allow shoppers to view promotional or spotlight items within these clear counter cases. 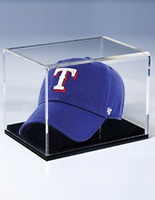 Lift the extra lucite piece and insert additional signage on top of the white base for a personal touch. 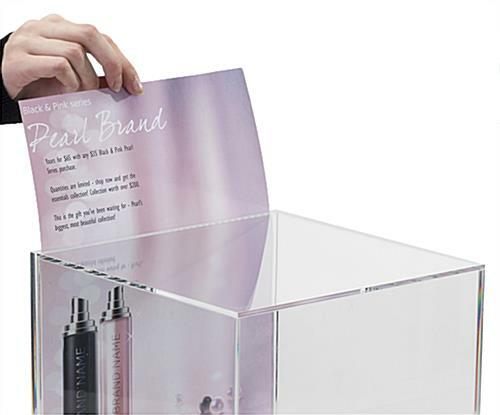 Complete your merchandising with a display box combining enticing graphics with exceptional products. 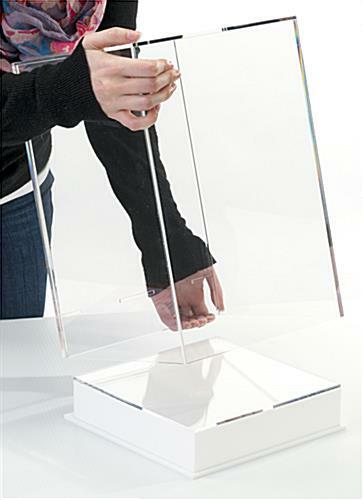 8.3" x 13.5" x 20.0"
8.3" x 2.1" x 8.6"
8.3" x 11.3" x 8.6"
Irene, thank you so much for your kind words! 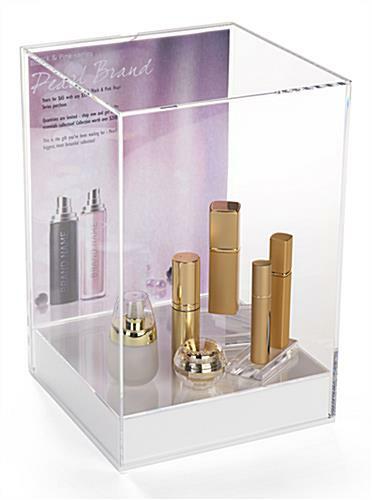 We're so happy that this display case was beyond perfect for displaying your products. 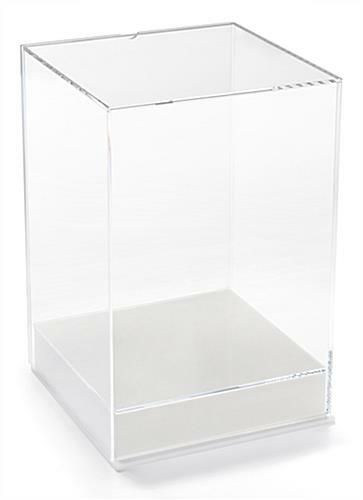 If you're posting your photos on social media, be sure to tag us — we'd love to share it with our customers!